Phanteks may not be as well-known as other cooling brands but since their arrival in 2007 they have asserted themselves are a key player in an extremely competitive market-place. 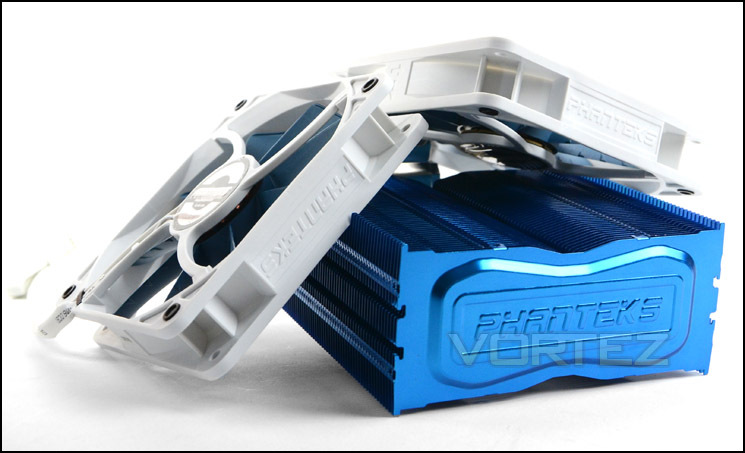 More notably, Phanteks have taken pride in their ability to offer a variety of different colours for their models of CPU coolers, giving flexibility to those who prefer to style their entire setup in full coordination. Today we will be taking a look at the new PH-TC12DX. A mid-range CPU cooler featuring a dual-tower heatsink design and furnished with two 120mm cooling fans. PH-TC12DX is designed to bring style and good performance; will this new release make an impression in our cooling league? Let’s find out!